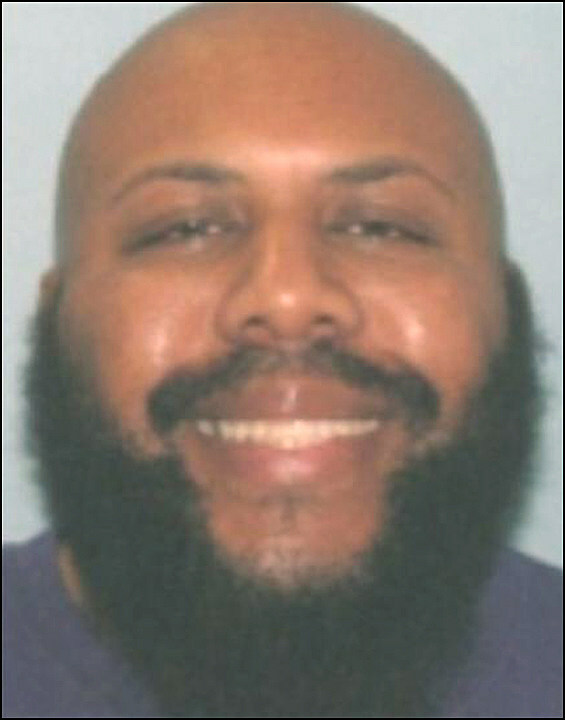 Authorities in Erie County, Pennsylvania, announced that Steve Stephens, the man suspected of committing a murder and posting it to Facebook, has been found dead in his car. Police discovered Stephens Tuesday morning and, after a short pursuit, he fatally shot himself. Stephens allegedly murdered Robert Godwin, a 74-year-old with 14 grandchildren, on Sunday (April 16), because he was upset with his longtime girlfriend. Stephens apparently chose Godwin at random, told him, "She's the reason why this is about to happen to you," then shot and killed him. This occurred in Cleveland, then became the topic of national discussion due to Stephens' decision to post the murder online via Facebook Live. After a two-day nationwide manhunt, police spotted Stephens (right), leading to his suicide as state troopers approached his white Ford Fusion. “A traffic stop was attempted, there was a brief pursuit, at which time Stephens shot and killed himself,” according to Pennsylvania State Police communications director Ryan Tarkowski. The past two days, Stephens had eluded the FBI and local law-enforcement teams searching for him. It is unclear at this time if he was being harbored by anyone in the Erie area. Authorities had received more than 400 tips about the case, including one Tuesday morning that Stephens had been seen at a McDonald's in Erie County. The investigation will continue, but for now, the victim's family members have closure. "They don't make men like him anymore," Godwin's daughter Debbie said about her father. "He was definitely one in a million."